Our founder, Late Pt. Girdhari Lal Salwan was born in 1902 when only the privileged class had an access to quality education. Pt. 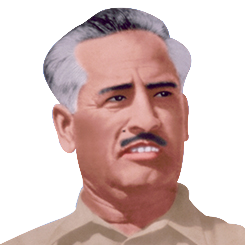 Girdhari Lal Salwan a visionary, vowed to impart education to the needy from all sections of society free of cost. He thereby laid the foundation of Salwan Education Trust in 1942. Through the Salwan Sanatan Dharam High School for Boys and Salwan Sanatan Dharam High School for Girls which came into being in 1942 in Peshawar he realized his dream of education for all. The Salwan Boys School (1949), Salwan Girls School (1952) and Salwan Public School (1953) in New Delhi are the epitome of his commitment towards providing education to the children of resurgent India in the post-independence era. A man of great foresight, Pt. G.L. Salwan had conceptualized the idea of sharing of facilities and resources between Public Schools and the schools for the underprivileged. This beautiful Public – Private Partnership which guarantees optimum utilization of resources can be seen in the five schools in the Rajendra Nagar campus. " The best quality of a teacher should be his sense of justice and impartiality. All children should be equal to him whether they are rich or poor, Hindu or Muslim, high or low. You should educate the children so that they may feel proud and confident of themselves. They should not consider themselves inferior in any way to the children of any other school. I am committed to the cause of education. Education for All - Whether they can afford it or not." Said Late Shri Girdhari Lal Salwan ji. Today, 14 schools are being run successfully under the aegis of Salwan Education Trust.